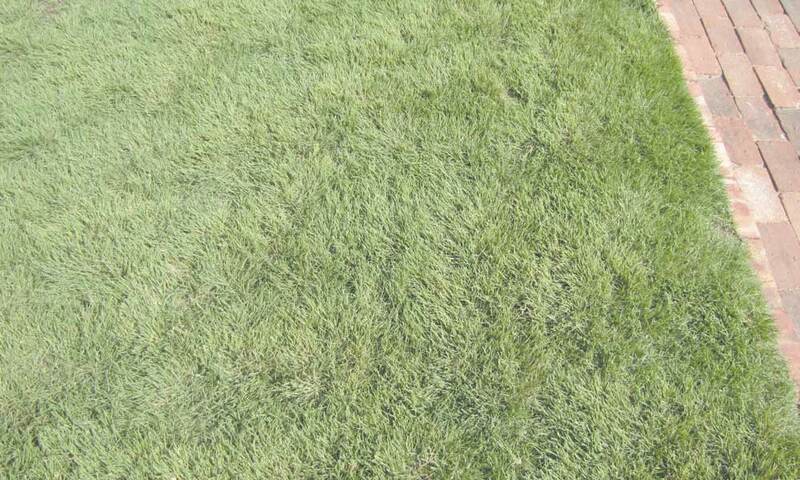 *Sunlight: Buffalograss does best in areas receiving at least 6 to 8 hours of direct sunlight per day. Morning sun is critical. *Soil Type: Buffalograss will grow in most all soil types except for course textured sand-based soils. Additions of organic matter (compost etc.) in coarse soils is beneficial for establishment. *Drainage: Buffalograss does not tolerate standing water for extended periods of time. It is recommended to correct drainage problems prior to seeding. *Soil Fertility and pH: A soil test will provide you with all the information necessary to adjust your soil’s fertility level for optimum establishment and growth for your Buffalograss lawn. The pH of your soil is an important consideration. The optimum level for your lawn is between 6.0 and 7.5. It is necessary to correct the pH prior to planting since these amendments need to be incorporated into the soil to become effective. In general, apply a “turf starter” fertilizer prior to planting at rates recommended for other lawn species, even if Buffalograss is not listed on the label. *Lawn History: One aspect that is frequently overlooked when planning a new yard is what herbicides, if any, have been applied to the area in the last 12 to 18 months. If pre-emergent herbicides have been frequently used in the past, you will need to check the residual effect on the label of the herbicide. These pre-emergent herbicides are designed to inhibit the germination of weeds, but they may also inhibit the germination of your new grass. *Planting Date: Buffalograss seed should be planted during the spring and summer months once the soil temperature has reached 60 degrees F and is on the rise. Spring plantings are generally best because the higher frequency of precipitation would reduce the irrigation requirements to maintain a moist soil. Planting too early in the Spring, however, may increase weed competition during establishment. If the site has access to irrigation, delay planting until crabgrass begins to germinate and appear in the soil. Cultivate the crabgrass or spray with glyphosate, and then plant. The “cutoff” date for planting depends upon your geographic location. A simple rule to follow is not to plant within 75 days of the average first frost date for your location. The newly established plants must have time to develop adequate rooting prior to the first frost. *Proper establishment practices will help to reduce weed competition, but weeds will likely be the single most limiting factor in establishing a new stand of grass quickly. Weeds compete for moisture, nutrients, and space. If left unmanaged weeds can severely damage a developing stand of Buffalograss. Mowing during establishment will decrease the competitiveness of some taller growing weeds. Mowing just above the height of the Buffalograss in the first 4 to 5 weeks will stimulate lateral spread and keep the seedlings exposed to sunlight which is necessary for growth. 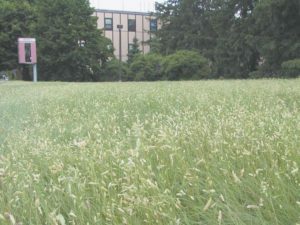 Products for use in the establishment phase and on established Buffalograss are available and new products will continually be labeled for Buffalograss as the popularity of the grass increases. One such product is Tenacity (mesotrione). Tenacity can be applied at seeding time, and then again if needed 4 weeks after Buffalograss emergence. Three herbicides that are safe to use post emergent in the establishment year are Drive XLR8 (quinclorac), SquareOne (carfentrazone + quinclorac), and Solitaire (sulfentrazone + quinclorac). These herbicides have shown good flexibility and safety for new Buffalograss seedings when used according to label. All three are effective on a wide spectrum of grassy and broadleaf weeds. They should be applied when the newly seeded Buffalograss is at the 2-3 leaf stage, or older. 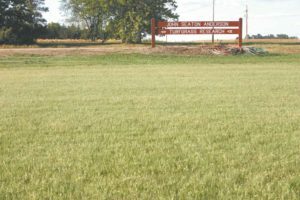 Pre-emergent herbicides for use on established Buffalograss include Specticle, Barricade, and those containing pendimethalin. Always follow the label of any pesticide product prior to its use.